Learn the fundamentals of international flight operations, track systems, CNS/ATM, oceanic and polar flight planning, international aviation law and ICAO rules and regulations. Become familiar with the procedures and equipment necessary to operate in different types of airspace, and how to plan a successful flight through the application of advanced flight planning and execution techniques. Courseware and instructor focus is either focused on dispatcher or pilot application. Learn the fundamentals of international flight operations. The concepts, operating procedures and contingency planning procedures will be displayed as they apply to the course outline. 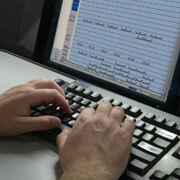 View the course outline for International Flight Operations for Dispatchers. Jeppesen can deliver this training at any Jeppesen facility or at the customer location. The standard course is 2-3 days, depending upon the regional coverage selected by the customer. The minimum number of students is seven per class.